Add an elegant touch to your daily look with this rhodium plated & diamond ring. 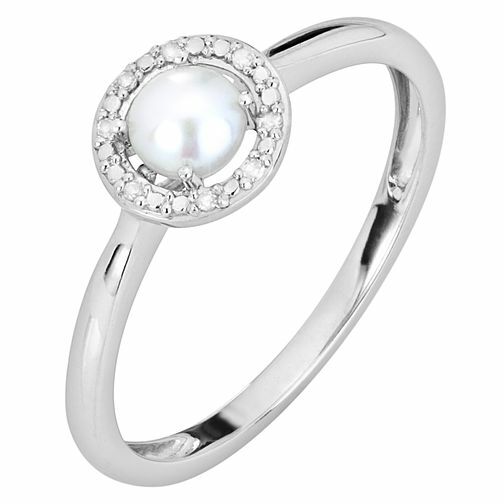 Featuring a stunning freshwater pearl, which is delicately cradled by a set of diamonds totalling 0.03ct. Look stylish and chic with this luxurious fashion accessory.